The Viburnum 'Fragrant', Viburnum X juddii, is a hardy, medium sized deciduous shrub with a rounded form. Beautiful clusters of extremely fragrant pinkish-white blossoms appear in late spring. 'Fragrant' is one of the most elegant of flowering shrubs that will give you pleasure for many years to come. The quality dark green foliage, along with black fruit in fall, and its purple color in fall will provide many seasons of interest. 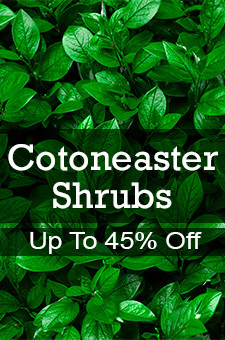 This plant performs well as shrub borders, foundations, hedges, or screens. This Viburnum is easily grown in average, medium moisture, well-drained soil in full sun to part shade. 'Fragrant' Viburnum prefers moist loams, but tolerates a wide range of soils. It is best to prune as needed immediately after flowering. Group this viburnum with large flowering shrubs, such as lilacs and rhododendron, for an outstanding addition to your landscape.